India’s failure to step over the atrocities in Syria is likely rooted in worries over its own domestic insurgencies. The death toll in Syria keeps mounting as forces loyal to Bashar al-Assad continue to pummel the civilian opposition to his regime. In fact, after it had crossed the 5,000 mark in January of this year the United Nations stopped keeping count of the casualties. The attempts of the Arab League to induce Assad to see reason and make the necessary concessions to end the blood-letting have failed. 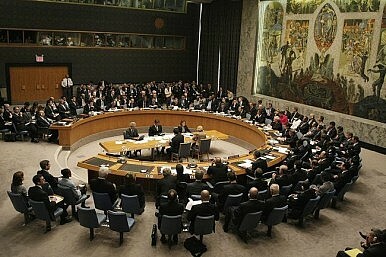 Now it has turned to the U.N Security Council to pass a resolution that would impose multilateral sanctions on Syria. Russia, which is a major arms supplier to the regime, and is also loath to support the growing norm in support of humanitarian intervention, is proving unwilling to go along with other members who are ready to act. Not surprisingly, China, which shares similar domestic concerns and faces much current unrest in Tibet, is also resistant to imposing sanctions on the Assad regime. The reasons underlying their reservations are fairly transparent. Democracy in Russia is increasingly under siege and China’s record on human rights remains abysmal in general and in Tibet in particular. Why, then, is India coyly lining up behind these two states? After all, it’s a liberal democracy with a free press, an independent judiciary and has a vibrant civil society. Sadly, despite India’s obvious democratic credentials it has some important, nagging and trying shortcomings of its own. Its ability to uphold the rule of law has been in question as it has fought a range of domestic insurgencies ranging from Nagaland in the northeast to Kashmir in the northwest. Consequently, it fears, perhaps unwisely, that if this norm of humanitarian intervention is bolstered it may, one day, come home to roost. India’s record on protecting human rights in suppressing insurgencies has hardly been exemplary. The state, on occasion, has chosen to remain oblivious to such violations when the country’s national unity has been at stake in the Punjab and Kashmir. That said, this callousness to the arbitrary exercise of coercive power has never reached the conditions that are prevailing in Syria where there is widespread, systematic and brutal use of military power to cow a hapless population seeking minimal rights. Biding its time unfortunately undermines India’s own moral stature, corrodes its international standing and reduces its claims for a permanent seat on the Security Council. One can only hope that India will not again abnegate on its responsibility in this vital global body. Chinese and Russian vetoes over condemning Syria have infuriated Western capitals. But the reasons for them are more complex than some realize.